Although the holidays are over and the cold weather has settled in, there is still plenty to do in St. Louis in January. Check out the calendar filled with special events and festivals or take part in winter weather activities — even tourist attractions like the Gateway Arch and the City Museum are great this time of year when visitors can expect smaller crowds and shorter lines. 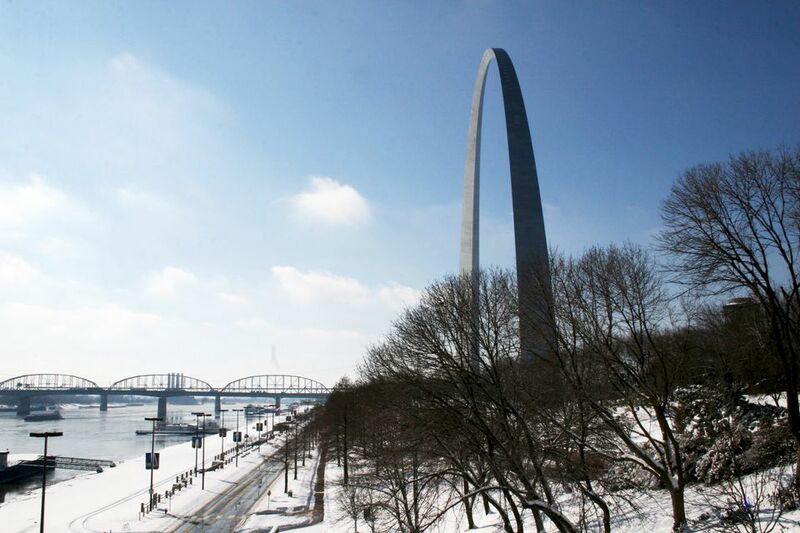 Due to its central location in the United States, St. Louis' weather can be a mix between cold and mild, with snow sometimes blanketing the region. January is very cloudy in St. Louis so don't expect very many bright, sunny days. Luckily, it's not a very wet month so even if the skies are gray, it's less likely that rain will ruin your trip; on average, St. Louis experiences around two inches of rain spread across five days in January. Occasional snowfall is also a possibility. With the weather skewing slightly unpredictable in January, it's best to bring a variety of clothing that you can layer when you need more (or less) warmth. It's always a good idea to bring along a raincoat, an umbrella, and waterproof shoes or boots. You should also pack long-sleeved shirts, sweaters, jeans, moisture-wicking socks, and a medium-to-heavyweight jacket depending on the forecast. From a unique food and wine experience at the Chase Park Plaza to just kicking back in nature with family, St. Louis has something for everyone in January. Schlafly's "Cabin Fever: Winter Beer Festival" is a good way to spend a cold afternoon in January, but remember to dress warmly because the festival is held outside in the Bottleworks Biergarten in Maplewood, MO. The event will be held on Saturday, January 19, 2019. The Grand Parade for Soulard Mardi Gras isn't until February, but some events for this year's Soulard Mardi Gras celebration happen in January. Events in January include the Snowman Softball Tournament, the Family Winter Carnival, and the Wine, Beer, and Whiskey Taste. Baseball fans can see their favorite Cardinals players at the annual "Cardinals Care Winter Warm-Up," which takes place each year over Martin Luther King Jr. Day weekend. This three-day event includes autograph sessions, baseball clinics, and a sports memorabilia show, and money from the event goes to Cardinals Care, the team's charity to help children in the community. Check out the newest cars, trucks, and SUVs at the STL Auto Show, usually held in late January. The America's Center and Edward Jones Dome will be filled with hundreds of new vehicles from more than 25 manufacturers, and tickets go on sale in early January for the event. The annual St. Louis Food & Wine Experience gives foodies a chance to enjoy some of the best culinary offerings from local and national chefs, wineries, and restaurants at the Chase Park Plaza in St Louis' Central West End. There will be hundreds of selections from dozens of winemakers, plus cooking demonstrations and food from top restaurants. Usually, January is cold enough for skiing on the outskirts of St. Louis. Hidden Valley Ski Resort makes snow and grooms the runs for opening day in mid-December. Inclement weather in the area can affect opening hours of many businesses, so should the weather take a turn for the worse, be sure to call ahead of time and confirm.